Do you love the feel of memory foam? Are you ready to make the switch to this luxurious bed type? If so, then this article will help you make the right decision. Our top choice for the best memory foam mattress is the Nectar Mattress. This bed has cooling technology, pressure relief with firm support, and an unusually long sleep trial period of an entire year. Our second choice is the Loom & Leaf Relaxed Firm bed, which has a good track record with users and comes with enhanced lumbar support. Because of its consistency, memory foam contours to your body’s unique shape, reducing pressure. It can be good for people suffering from aches and pains, as it creates a “melting” sensation that can be hard to find in other mattress materials. Another major benefit that draws so many people to memory foam mattresses is how well they absorb motion, which is appealing for people with partners or pets. As soon as you’ve decided that memory foam is the material you want for your next bed, the next step is choosing a brand and model. Below, we’ll review five different options with various benefits to help you make an informed decision. Memory foam isn’t known for being the cheapest material out there, which turns a lot of people off who would otherwise like to purchase this type of bed. Fortunately, there is an option out there for those on a budget: the Zinus Green Tea Mattress. You like the idea of a scented mattress: While some memory foams have a slight chemical smell known as off-gassing when you unwrap them, the Zinus Green Tea Mattress manufacturers have taken steps to prevent this. Their bed is infused with green tea extract, charcoal, and castor seed oil to discourage bacteria and promote a fresh smell over the years. You have a pet that shares your bed: Like other memory foam beds, the Zinus Green Tea Mattress is great at absorbing motion. If you have a pet that sleeps with you, you’ll find this helpful for staying asleep through the night, despite their movements. You’re a hot sleeper: Memory foam absorbs heat more than other mattress materials, but this bed uses an egg crate-shaped base to promote airflow and keep sleepers cool. Extra hot sleepers may want to upgrade to the Cooling Gel mattress by Zinus, though. You have a sore back: If you suffer from back pain, you’re making the right choice with looking into memory foam beds, as they can help a lot with that. The Zinus Green Tea bed has a pressure-relieving layer that targets body pain and could provide some relief. The Zinus Green Tea Mattress definitely has a budget price, but it’s worth noting that if you opt for the Cooling Gel version of their bed, it will cost a bit more. The surface memory foam materials in either option will cradle your body and the firm supportive base will keep your spine properly aligned. Although there’s a variety of options for mattress height and level with Zinus, we will focus on the 10-inch model for this review. The cover on this bed is a stretchy, comfortable material, followed by a 2.5-inch BioFoam® layer for contouring pressure relief. Next is another pressure-relieving layer that encourages airflow through the bed and provides a transition layer between the surface foam layer and the mattress base. The base is a 5.5-inch layer of stable, dense foam. The 10-inch version of the Zinus Green Tea Mattress is medium-firm, so it will work for a wide variety of sleep positions and body types. Its surface is slow-responding and has next to no bounce at all, which is to be expected in a memory foam bed. Also typical of a memory foam mattress, the Zinus Green Tea bed absorbs motion right away and will help you stay asleep, even with a restless partner. This bed is CertiPUR-US® certified, meaning it’s free from harmful levels of hazardous materials or heavy metals. It comes with a 10-year warranty and a 100-night sleep trial. Overall, the Zinus Green Tea Mattress is a good choice for someone who has never bought a memory foam mattress before, as it’s super affordable, which makes it a low-risk investment. The green tea scent also gives this bed a unique edge that other mattresses don’t have. You want cooling technology: It can be hard to find a memory foam bed that allows you to sink in and feel “hugged” by your bed without also making you too hot. But the Supreme Breeze Mattress was designed specifically to keep you at a cool temperature while you sleep. You’re a side or combination sleeper: This bed supports every sleep position well, but people who sleep just on their back or front may find that their pelvis sinks in too much. If you’re a combination or side sleeper, however, this bed should work well for you. 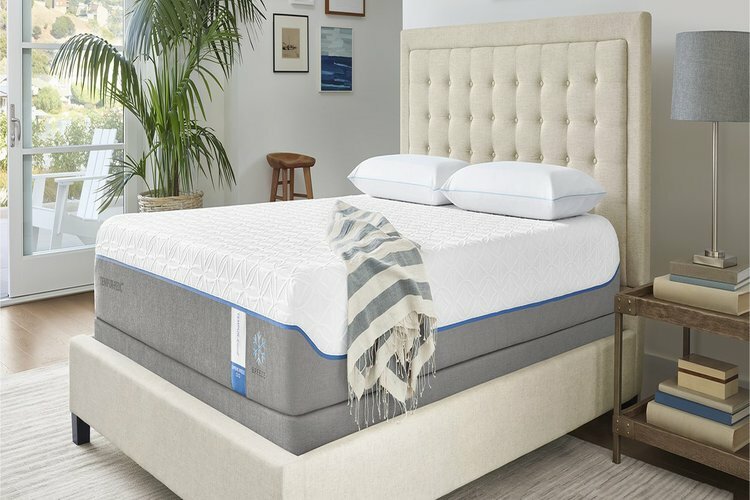 You want a brand backed by user reviews: Since Tempur-Pedic is a well-known brand, you won’t find any shortage of positive user reviews for their Supreme Breeze Mattress. If this is important to you, this should ease your mind before you purchase. You can afford a big investment: Tempur-Pedic beds are far from the cheapest on the market, so you’ll want to make sure you can afford the investment before you consider the Supreme Breeze Mattress. They also decide whether to give users a 90-night sleep trial based on their credit, so having yours in order before purchasing is a good idea. The Supreme Breeze Mattress has a breathable, light cover that helps regulate body temperature, followed by a foam layer that cradles pressure points and also prevents heat retention. Under that is a supportive foam layer to keep your spine aligned and a stable base that disperses heat. The bed has a very plush feel but it supports the body well. Like other memory foam beds, the Supreme Breeze Mattress does great with absorbing motion. The bed comes with a 10-year warranty and a certification that shows they meet the Federal Flammability Standard. Remember that in order to get a 90-night sleep trial with this bed, you do have to undergo a credit check and be approved, first. If you want a cradling memory foam mattress, have good credit, and value cooling technology, the Supreme Breeze just might be the perfect bed for you. 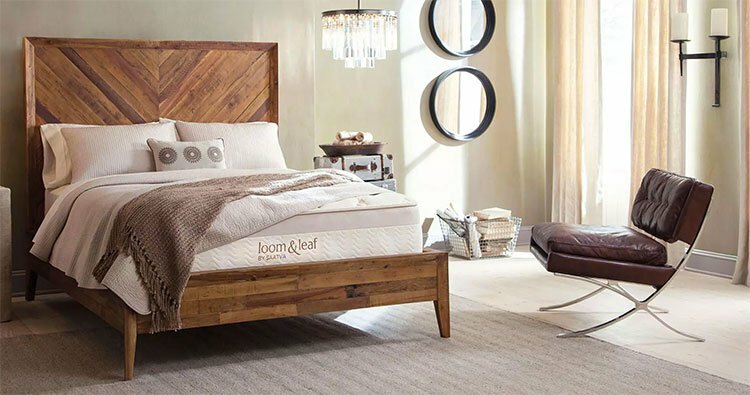 The Loom & Leaf Relaxed Firm Mattress is an all-foam bed that provides cradling pressure relief like other memory foam mattresses without feeling too soft. If you like your mattress to give you a deep hug and also want firm support, this could be a good option for you. You want White Glove Delivery: If you live alone, it’s good to know that there’s installation help available with the delivery of your mattress. Loom & Leaf offers optional White Glove Delivery, meaning professionals will bring the mattress to your door and help you set it up. You tend to move around in your sleep: The Loom & Leaf Relaxed Firm Mattress has minimal bounce and a fairly firm surface. 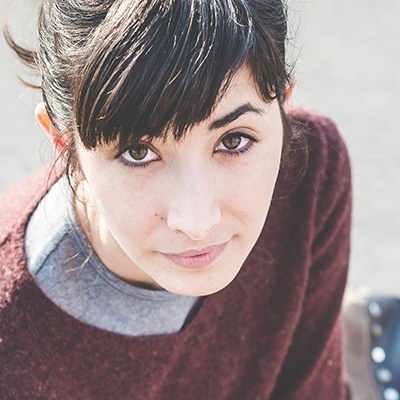 These qualities make the mattress easy to switch positions on without getting stuck. You’re a side sleeper: This mattress has a medium-firm feel to it, so it works for every sleeping position, but side sleepers may find it especially comfortable. This is because the foams used in the Loom & Leaf Relaxed Firm bed cradle the hips and shoulders, which take on most of your body’s weight when in the side sleeping position. You’re a hot sleeper: Loom & Leaf has taken steps to make sure their memory foam mattress doesn’t retain extra heat, including cooling gel and an egg crate shape for airflow. They also use a proprietary Spinal-Zone Gel for even more temperature regulation. In this review, we’re focusing on the Relaxed Firm model from Loom & Leaf, as this design will work for the most people, regardless of sleep preferences or body type. This version of the Loom & Leaf Mattress is 6/10 on the firmness scale. The cover on the Loom & Leaf Relaxed Firm Mattress is made with organic cotton with a thin foam layer stitched into it for plush cushioning. Under that is the egg crate-shaped foam with a cooling gel-swirl for contouring, with the Spinal-Zone Gel region for added lumbar support. Next is a 2.5-inch layer of memory foam for deeper contouring and support, followed by a foam transition layer and a firm, dense base. The bed does cradle your body and allow some sinkage, but it has a firm and supportive feel overall, despite the memory foam cushion on the surface. This bed has very minimal bounce, but the quick-responding nature of the mattress makes it easy to switch positions. Like other all-foam mattresses, this bed absorbs motion very well and works great for partners with different sleep schedules. The bed has been CertiPUR-US® certified and found free from harmful levels of toxic materials or heavy metals, which makes it healthier for both the sleeper and the environment. The Loom & Leaf Relaxed Firm Mattress has a 15-year warranty and a 120-night sleep trial period to test it out. If you know you like memory foam but also crave firm support, this bed could be what you’ve been seeking. The Nectar Mattress is an affordable memory foam bed that provides a deep, plush hug and relieves pressure in your body. We chose it as the best option for side sleepers because the combination of soft foam and a firm core cushion your body and provide spinal alignment in this position. You’re a combination sleeper: The Nectar Mattress provides a melting feeling that eases your joints, just like other foam beds. But it also responds quickly enough to make it easy to reposition yourself in your sleep, making it great for combination sleepers who move around a lot. You suffer from body aches: The memory foam used in the Nectar Mattress contours your body and provides a deep hug, which has been known to improve body pain. If you suffer from aches on a daily basis, this could be a huge help. You want cooling technology in your mattress: Gone are the days where shoppers have to choose between comfortable memory foam and cool sleeping experience. The Nectar Mattress uses cooling gel in its construction to prevent heat retention and keep you from waking up sweaty. Eco-friendliness is important to you: The Nectar Mattress uses something called TENCEL™ in its cover, a plant-based, environmentally sustainable material. The cover has been checked carefully for hazardous materials to ensure that it’s safe for the environment and you. The Nectar Mattress is a slow-responding bed with a breathable surface and great pressure relief. Let’s look a bit closer at the materials used in the bed. The Nectar Mattress has a plush, comfortable, 1-inch thick cover that is made of cooling Tencel fabric. Under the breathable cover is a 1-inch quilted gel memory foam layer that conforms to your body comfortably and prevents too much heat retention. Following this is a 3-inch layer of gel memory foam, followed by a 1.75″-thick transition layer of adaptive hi core memory foam. Finally is a denser layer of foam that gives the mattress it’s sturdy base and durability and this is a 5.25-inch layer of base support foam. When you lie down on the Nectar Mattress, you’ll find that the top layers hug your body, while the bottom layers provide firm support. This bed, like the others on our list, is great at absorbing motion and won’t transfer a lot of motion. 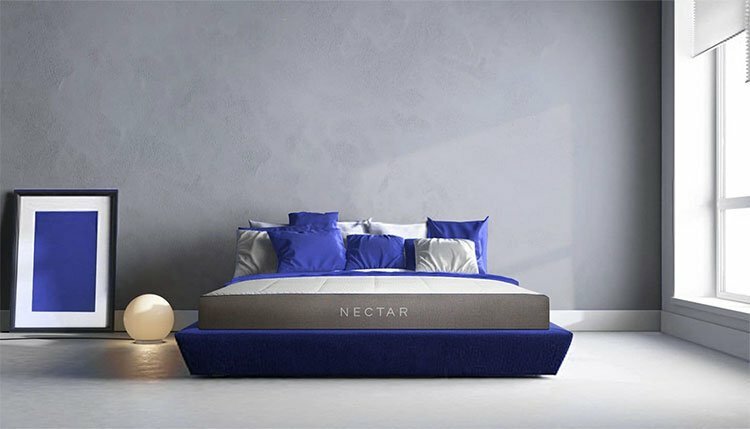 If you have a partner that moves around a lot at night and wakes you up, the Nectar Mattress should provide a welcome change and help you stay peacefully asleep. This bed is CertiPUR-US™ certified and found free from harmful levels of toxic chemicals. It comes with a Forever Warranty and a 365-night sleep trial period, both of which make it an even more attractive option due to low risk. Overall, the Nectar Mattress should work for every sleeping position and body type well, though, again, side sleepers may find it most comfortable. 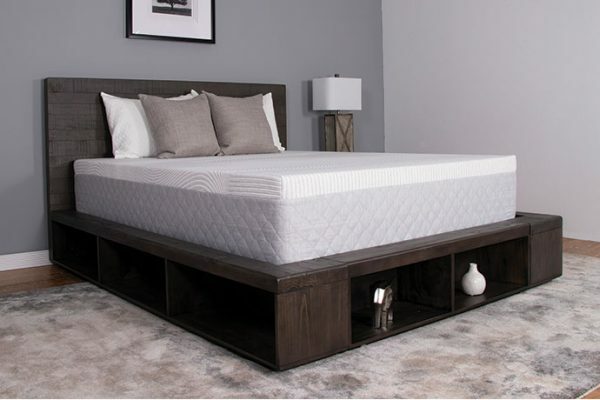 It has an affordable price and given the Forever Warranty and extra-long sleep trial period, it should be a good investment for memory foam-lovers. The Ultimate Dreams Supreme Mattress is an affordable memory foam bed that provides cradling pressure relief and excels at absorbing motion. This, in combination with the fact that it suits many different sleep positions, makes it a good choice for couples. You’re on a budget: Although it isn’t quite as budget-friendly as the Zinus Green Tea Mattress we mentioned earlier, the Ultimate Dreams Supreme Mattress is still very affordable for a memory foam bed. You’re a combination sleeper: Memory foam is known for creating the melting, pressure-relieving sensation that so many sleepers like, which the Ultimate Dreams Supreme bed definitely provides. This, in combination with the dense foam base of the bed, makes it great for all positions and combination sleepers. You have a restless partner: All-foam beds just can’t be beaten when it comes to motion absorption and that includes the Ultimate Dreams Supreme Mattress. If your partner tosses and turns a lot at night, this will help you stay sound asleep. You already own a solid base: Memory foam beds should be used with a solid, sturdy base instead of placed directly on the floor like you can do with some other mattresses. If you already have a platform, wooden foundation, or slatted base at home, this could be a good fit for you. The Ultimate Dreams Supreme Mattress has a gel memory foam top layer, which conforms to your body and reduces heat retention. This surface layer is followed by a transition foam layer for extra pressure relief, then an 8-inch supportive foam base. This bed has a medium-firm feel to it and provides a balanced amount of cradling sinkage and support. It has a slow-responding feel just like other memory foam beds, which you’ll love if you already know you like memory foam. Because of its slow-responding surface, the Ultimate Dreams Supreme Mattress minimizes motion disturbances very well and you won’t feel your pet jumping into bed at night. The bed has been OEKO-TEX® certified and found free from dangerous levels of toxic chemicals. The Ultimate Dreams Supreme Mattress has a 10-year warranty and a 120-night sleep trial period. Compared to other memory foam beds, it has an affordable price, especially when you consider that it comes with free shipping. Because of its medium-firm feel, it works well for all sleep positions, but exclusive stomach sleepers may want something a bit firmer to prevent too much hip sinkage. 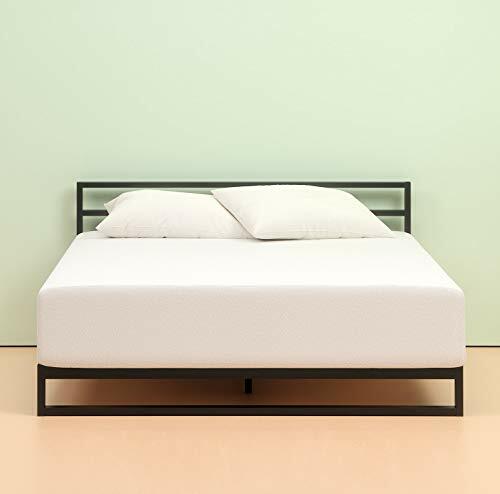 Just in case you’re uncertain about whether memory foam is right for you, let’s look at some factors to consider before investing in a bed made of this material. Motion Absorption: With many beds, a dog jumping onto the mattress or a partner getting out of bed is basically guaranteed to wake you up. Memory foam, however, absorbs these vibrations and the motion won’t transfer to you as much, as long as the mattress is used with a proper base. Longevity: Mattresses are an investment, no matter what type you buy, but ideally yours will last as long as possible. Although longevity varies quite a bit among mattress types, memory foam beds usually outlast coil beds. They are also reportedly less likely to sag in the middle over time. Sleeping Style: If you want to invest in a memory foam mattress, you’ll want to think about your sleeping style. People who move around a lot in their sleep, for instance, might be likelier to feel “stuck” in this material, whereas someone who finds one position and stays there all night may have a better time with it. Heat Retention: Heat retention is probably the main con you’ll need to think about before choosing a memory foam bed, especially if you sleep hot. Since this type of material allows your body to sink in, creating a deep hug, there isn’t as much of your skin exposed to the air, which can make you feel warmer. Sleeping hot is not a comfortable experience, so if this is a concern for you, you’ll want to ensure that your memory foam bed uses cooling technology, like gel-infused foams or a breathable mattress cover. What is the Most Comfortable Mattress? Should You Buy Memory Foam, Innerspring, or Hybrid?